What is The Power of Discovery: STEM2? The Power of Discovery – STEM2 is an important new effort to build on the JumpStarting STEM pilot that will support the power of schools and community‐based organizations to expand learning opportunities in science, technology, engineering and mathematics (STEM) for young people in California. By building collaborative and effective partnerships between schools and after school organizations, and by mobilizing a broad coalition of community partners with STEM expertise and resources, STEM2 will enhance school­‐based STEM instruction and expand out-of-school (OST) STEM learning opportunities. To do so, STEM2 has selected three Regional Partnerships to foster leadership, build effective alliances between after school providers and schools, and provide professional development and other supports that ensure the expansion of quality STEM learning opportunities. The Regional Partners will identify schools and after school agencies as potential participants, and recruit STEM partners such as science centers and museums in support of instructional efforts. The Regional Partners will also assess the readiness of potential participants and provide guidance, general training and other support for the development of STEM programs. Participating schools and agencies will also benefit from a virtual innovation center providing online access to additional resources. The effort of STEM2 will increase the engagement of students in the hands on exploration and practice of science, technology, engineering and mathematics in ways that foster excitement, curiosity, and interest in learning. 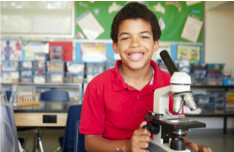 Participating sites will complement the efforts of schools to explore the academic curriculum, and expand opportunities for students to participate in inquiry-­driven, project­‐based STEM learning opportunities that foster student understanding of the Common Core and Next Generation Science Standards. By working together, afterschool providers, educators, community organizations, and others can increase the availability of high quality STEM learning opportunities for thousands of students. The Power of Discovery: STEM2 is a project of the California After School Network and the California STEM Learning Network. Funding is provided by the S.D. Bechtel, Jr. Foundation; the Noyce Foundation; and the Samueli Foundation.